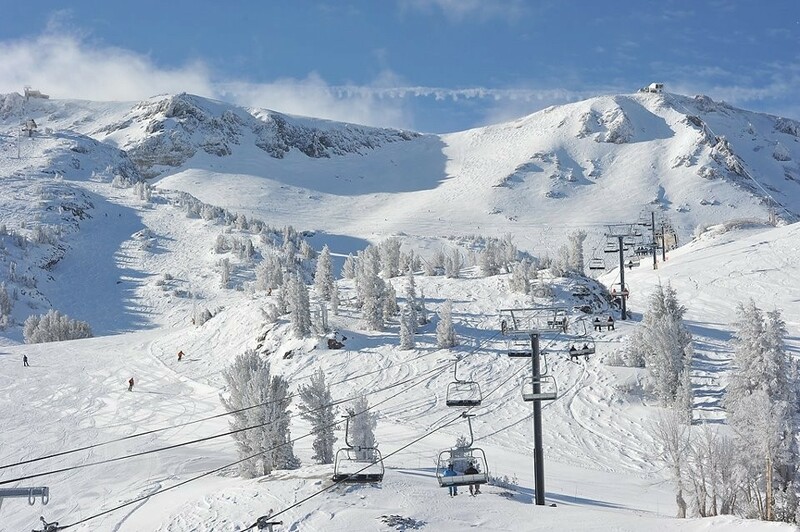 What's the weather forecast for Mammoth Mountain Ski Area this week? Check out the long-range weather forecast for Mammoth Mountain Ski Area, including temperature, predicted snowfall and wind details at the summit and base throughout the day for the next week. Tab over to overview or Hour by Hour for alternative views of the Mammoth Mountain Ski Area weather forecast. Had too much fun Tuesday and Wednesday. Bluebird and great snow. Cold temps kept it prime all day. SO Much Snow up there! Bluebird! Cool & clear, great snow, no lines. Best skiing in California. We got out yesterday at 11a when 395 north opened. Went to Squaw, great light snow but only 3 lifts running today for Av’s and winds. Is it snowing yet because the temps dropped over night? Hey Mammoth. What I need is for you to stay open through Aug. 13. I want to ski on my 50th Bday but don’t want to spend the money to go to Australia.